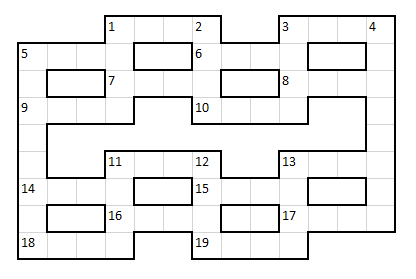 Solve the clues and fill the grid. Each clue is missing a different European capital city. For the purposes of this puzzle I did not include Baku, Nicosia, Tbilisi or Yerevan (all of which could be European depending on which definition one uses). Insert ATHENS; solution is DECA: AC(ropolis) backwards after DE(laware). I'm not terribly confident about this one. the solutions, not merely the spaces, are rotationally symmetrical. I didn't figure out 19a myself and probably never would have; Fillet found it; please consider upvoting their answer if you like this one. 1a Funny beret men strike ?? to convene (4). Lair (City is Sofia, last two letters backwards between l and r). Nicosia would also have fit if the definition of Europe had included it. Stressed? St for street, and a reed? Not sure of the city though? Henry IV = fourth letter of HENRY = R, city = Amsterdam (Netherlands), last bits of AMSTERDAM = ERDAM, ERDAM - R = EDAM (a cheese from Holland!). Not the answer you're looking for? Browse other questions tagged knowledge geography cryptic-crosswords or ask your own question.